Our 15,000 sq. ft. venue offers sweeping views and exceptional service just steps from the ferry terminal. 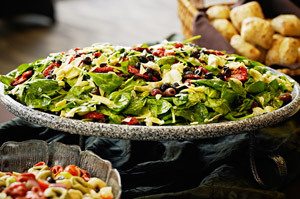 Our distinctive and affordable menus highlight a wide variety of local produce, seafood, and meats. Our wedding packages are designed to guarantee your wedding or reception is perfect in every way. 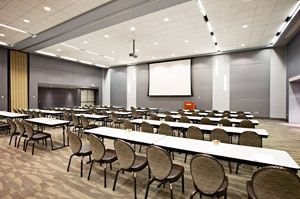 Every step of the way, we are dedicated to ensuring your meeting or conference is everything you envision. 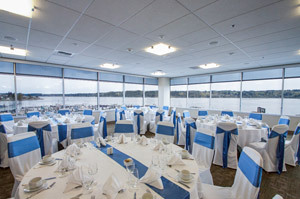 Host your next holiday party, reunion, prom or auction at Kitsap Conference Center for up to 700 guests. 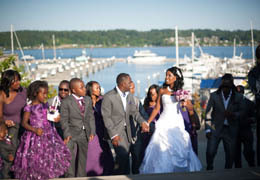 Take advantage of our special offers and packages as you plan your next event on the waterfront. 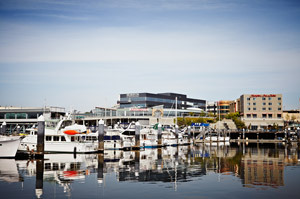 Our sweeping waterfront views and impressive outdoor water fountains highlight our unique marina setting. 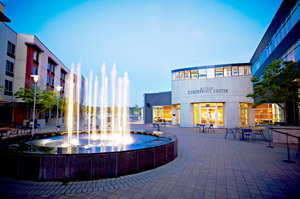 The Fountain Room is located within the Harborside Fountain Park. This 1,650 square foot facility greatly expands options for groups and individuals or meeting planners hosting special events in Bremerton. Boasting spectacular views of Harborside Fountain Park and Sinclair Inlet through floor-to-ceiling windows, this space will accommodate events of 10 to 200 guests. 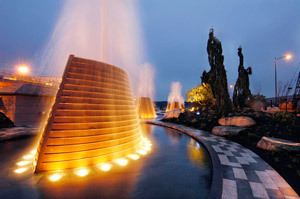 Harborside Fountain Park is one of the Puget Sound region's most impressive public spaces. Located on the waterfront, just steps away from the Kitsap Conference Center, the park features five large copper-ringed fountains, wading pools, and lush landscaping. The park provides a perfect backdrop for weddings and social events. The USS Turner Joy is a refurbished Vietnam-era destroyer that is now a floating museum operated by the Bremerton Historic Ships Association. Moored at the north end of the Bremerton Boardwalk, the ship can be explored topside and below decks. Kitsap Conference Center is the preferred caterer and can help you plan a variety of private special events ranging from casual, à la carte offerings to full sit-down dinners. The Marina Breakwater is located right next to the ferry terminal along beautiful Sinclair Inlet. The convenient location next to the ferry makes it an easy commute for your guests who are arriving from Seattle. The Breakwater provides a stunning view and creates a unique atmosphere for an outdoor social event or post-meeting reception. 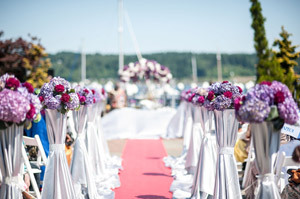 Experience your dream waterfront wedding. © Copyright 2019 Kitsap Conference Center.